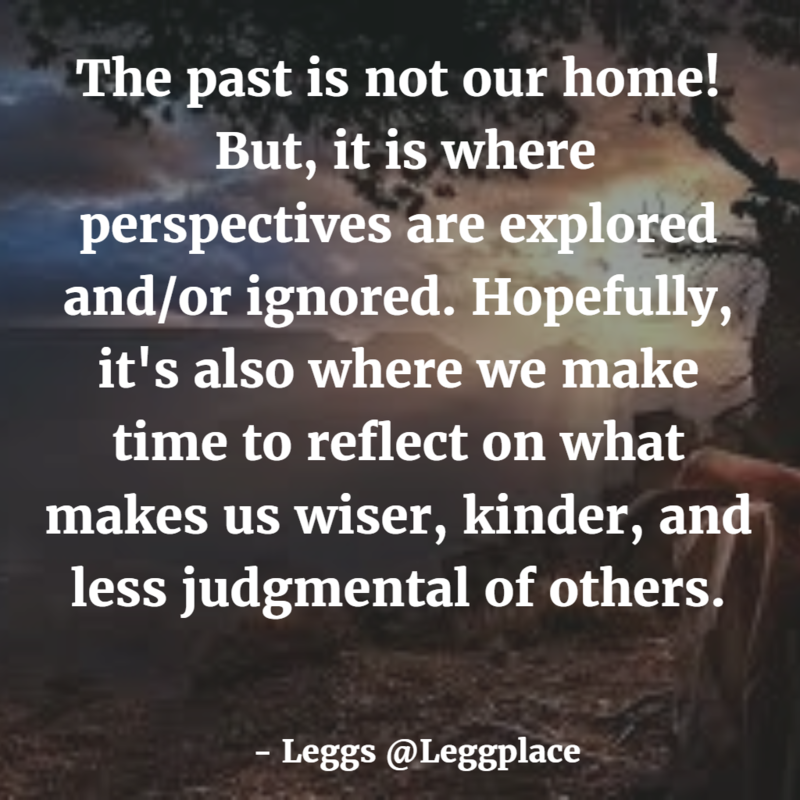 The past is not our home! But, it is where perspectives are explored and/or ignored. Hopefully, it’s also where we make time to reflect on what makes us wiser, kinder, and less judgmental of others.